One of my most recent projects sits nicely alongside another of this year’s writing high spots and both are interesting because they were for women who are pioneering innovative design-led bespoke services. So I thought I would tell you about two of my recent clients, Mati Ventrillon and Britta Curley. Mati, for whom I wrote a new website, is based up on Fair Isle, a French-Venezuelan Shetland incomer who became fascinated by the craft and tradition of Fair Isle knitwear, has mastered the centuries-old skills and added her own creative twist and entrepreneurial flair. Mati’s bespoke knitwear has already caught the attention of the UK design fraternity – amongst other honours, Mati was featured in London Design Week a couple of years ago. As well as being a fascinating example of rejuvenating a specialised regional craft form, Mati’s entrepreneurship promises great things for the Fair Isle economy in the future – and offers a tempting array of knitwear for woollen garment lovers around the world. Much closer to my Cheltenham, Gloucestershire, base, Britta Curley’s business, (Curley Burrows) specialises in designing and crafting bespoke furniture with unique surface finishes and detailing. From large carved dining tables to small, coffee tables, every one of Britta’s creations is, like Mati’s garments, a unique work of art. Britta tells me that the launch of her business at September 2014’s Tent London design exhibition was a great success – aided, I hope, by my work as her press release copywriter. If you are a home or business owner seeking a stunning centrepiece table, or an interior designer seeking novel furniture ideas, you really should investigate what Britta’s up to at her studio in Cheltenham. As well as both being ambitious, and highly creative, designpreneurs, Britta and Mati both recognised that specialised copywriting wasn’t their key skill and the best use of their time. In Britta’s case she was busy preparing to launch her business at Tent London. For Mati it was the launch of her Mati Ventrillon Fair Isle Knitwear brand online (as well as running a croft and bringing up two young children on one of the UK’s remotest island outposts) that demanded her focus. In both cases, I was able to take away the research and writing ‘problem’ and create the engaging copy that will tell Mati’s brand story online and introduce Britta to the UK interior design media. This entry was posted in Thank you blogs and tagged bespoke furniture, britta curley, copywriters gloucestershire, copywriters shetland, curley burrows, fair isle knitwear, mati ventrillon, pr writers, press release copywriter, Shetland, tent london on September 24, 2014 by alwrites. I learned to drive in an unmissable Texas Yellow Volkswagen Variant back in the 1970s. I remember that car because (as well as being a surprisingly fast-for-the-time fuel-injected 1600) my dad bought it new in 1971 when he co-wrote a book on business computing with his former colleague Edward Lowe. Recently, in a rare (there’s lots to keep us copywriters in Gloucestershire busy) idle moment, I did an Amazon search for the book. 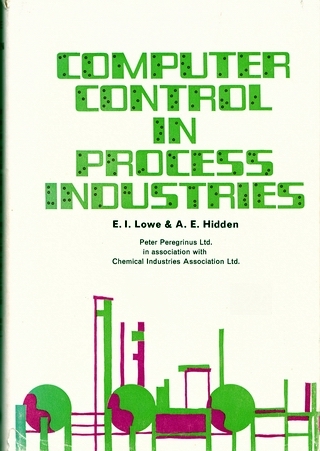 I was delighted to find copies of Computer Control in Process Industries on the Internet bookseller that I use to increase my writing knowledge, as well as an entry in Google Books. Copies in the UK and North America started at £0.01. I bought one for my technology-mad nephew in Germany – a nice reminder of what his late grandfather once wrote. I’m sure I got some of my interest in writing from Dad. As a university lecturer and researcher, he was always penning something – whether it was lectures for his students, this book, or information about the wave-power energy research he did later in the 1970s. It must have rubbed off and helped to shape the interests and skills that subsequently led me into my copywriting career. It’s a shame, however, that Dad died before I set up my own freelance copywriting business. I hope he’d have been proud of what I’ve achieved since 2006. My search for his book prompted me to take a look through my own copy. Even a quick scan of the index highlights the hugely changed world that we occupy. It’s a world where IT and the Internet determine large chunks of my work. It struck me as interesting that Dad was already writing about business computing when ARPANET, the prototype for the Internet, was just a year or so old. And as for Messrs Gates, Joy, Jobs and other shapers of the online world we now live and work in? There isn’t a mention of them, or their subsequent companies in the book. Hardly surprising, given that a teenage Bill Gates was still burning the midnight oil and developing his coding skills at CCC while dad and his co-writer penned their book at the end of the 1960s. The computing environments described in Computer Control in Process Industries have changed beyond recognition since 1971. What’s more, the chapter titled ‘The Future’ only hints at the massive changes that have taken place over the following four decades. What struck me most of all was how, thanks to technology that’s evolved since that yellow VW turned up on our drive, I can now locate copies of Dad’s work around the world. And thanks to Google Books, parts at least of the book’s contents should be online for ever. Oh yes. It’s interesting when you go back and explore the roots of your career as a Gloucestershire copywriter. This entry was posted in Uncategorized and tagged charity copywriting, copywriter, Copywriters in Gloucestershire, Copywriters in Shetland, Hillswick Wildlife Sanctuary, marketing, Shetland, Shetland Isles on August 8, 2012 by alwrites. Like copywriters everywhere, copywriters in Gloucestershire need a break every now and then. I must have enjoyed last week’s trip to Shetland, because here’s my second post on the subject in a week! 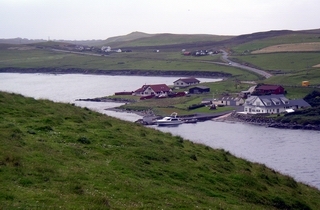 In my last post I referenced my visit to Uradale Farm, high above Scalloway, west of Lerwick. While there, I was persuaded to put my writing head on and do a guest post for the Uradale blog. After having been filled with delicious organic lamb and learning about the philosophy behind Ronnie and Sue’s venture, what could I say, but yes. Uradale already supplies several discerning butchers elsewhere in Great Britain. If you fancy some of the tastiest, most natural meat or wool you’ll ever find, get in touch and order direct from the farm. Next-day delivery is possible across the UK: beats your local Tescasdasons any day! After several intense months of writing for a variety of clients in and around Gloucestershire, and elsewhere in the UK, Shetland provided a wonderful change of scene. I may have returned to Cheltenham with a summer cold, but also with newly recharged batteries and a desire not to leave it so long before getting back up to the Shetland Isles. Al Hidden is an experienced Gloucestershire-based copywriter specialising in Marketing, Web/SEO, technical and PR copywriting. This entry was posted in Uncategorized and tagged copywriter, Copywriters in Gloucestershire, Copywriters in Shetland, Gloucestershire, Hillswick Wildlife Sanctuary, organic lamb, organic shetland lamb, Shetland, Shetland Isles, uradale on August 2, 2012 by alwrites. 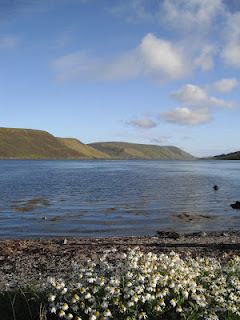 I was up in Shetland recently, enjoying a week of great weather, delicious food and good company with family. As one of the busy copywriters in Gloucestershire, I really needed a break. 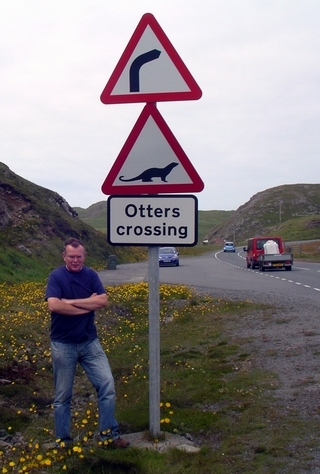 Mrs H and I have visited Shetland before, and it’s always been a rewarding experience. This time was no exception – in more ways than one. 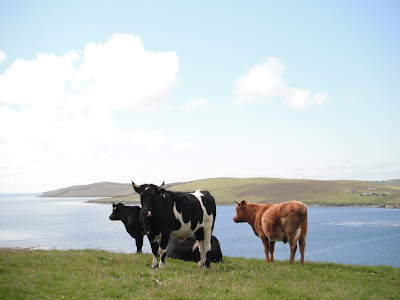 As well as getting roped in to do a guest blog entry for a local organic lamb and beef farm at Uradale, above Scalloway, I also added another animal welfare charity to my select portfolio of pro bono copywriting causes. As I’ve said before, one of the founding principles of my freelance copywriter business was to use my skills to help worthwhile causes. Sometimes, this means pro bono work; for others, it means a discounted copywriting rate. And of course, I’ve got to relate to the cause. Otherwise, it’s impossible to write with passion and conviction. Since 2007, I’ve written regularly for the North Devon Animal Ambulance (NDAA). I’ve learned that behind most animal welfare stories there’s a human benefit too. I like that. While up in Shetland, a chance meeting with Jan Bevington, founder of the Hillswick Wildlife Sanctuary, led to me offering my copywriting services for newsletter, website and brochure writing. Her response was positive, so I’m looking forward to promoting Hillswick’s otter and seal rescue work over the months ahead. 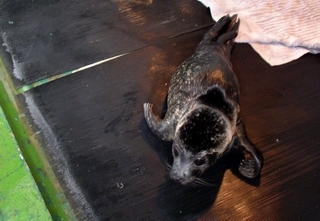 This entry was posted in Uncategorized and tagged charity copywriting, copywriter, Copywriters in Gloucestershire, Copywriters in Shetland, Hillswick Wildlife Sanctuary, marketing, Shetland, Shetland Isles on July 30, 2012 by alwrites.